Good day to everyone, it's a beautiful Friday. How do you get start with your day? 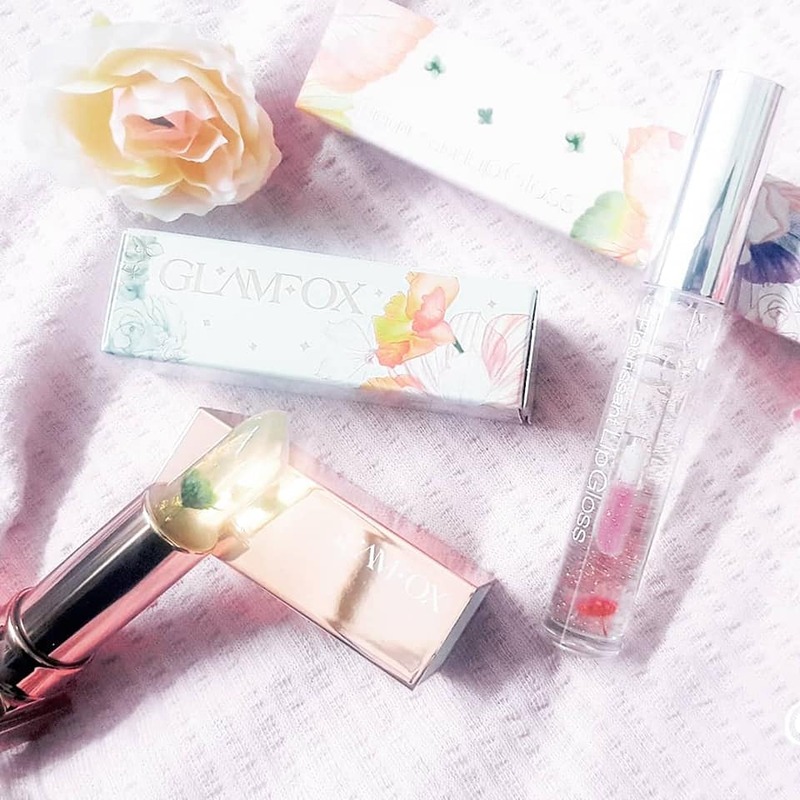 As for me I love sharing, and today sharing with you the Glamfox Fleurissant Lipgloss & Flower Lipstick. These are products made in Korea, now you know what gifts you can shop for upcoming Christmas and festive seasons. Listen up as if you love flowers you will be amazed, as the Glamfox Fleurissant Lipgloss contains flowers and 24kgold, provide lip gloss with both moisture and visual, gives you the nature glowing lips. Looking for Christmas gift? These products are not just cute but they are beautiful too! 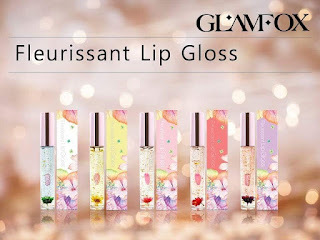 Glamfox Fleurissant Lipgloss & Flower Lipstick it's now available in Malaysia. 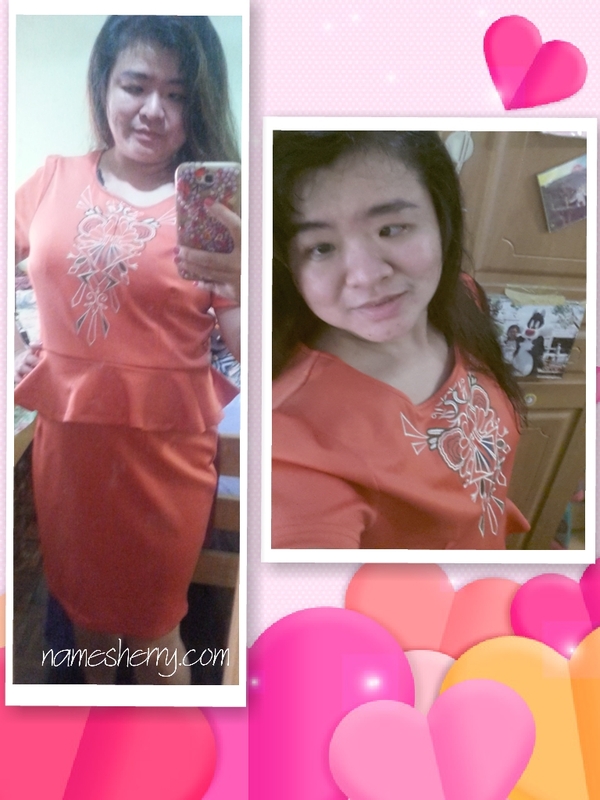 Below photo that I am sharing has got the before and after applied the product. 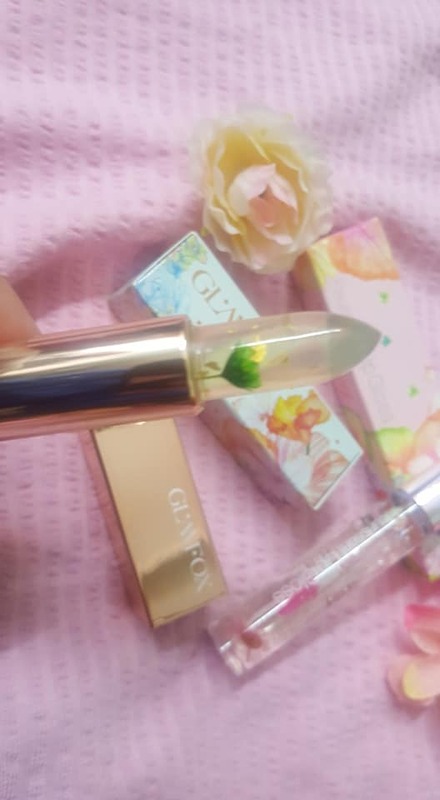 I used the Glamfox Fleurissant Lipstick which also known as Glamfox Fleurissant Lip Glow GL01 Moonlight Flower. The flower lipstick, it a is a moist magic lip gloss is color depending on temperature and pH. 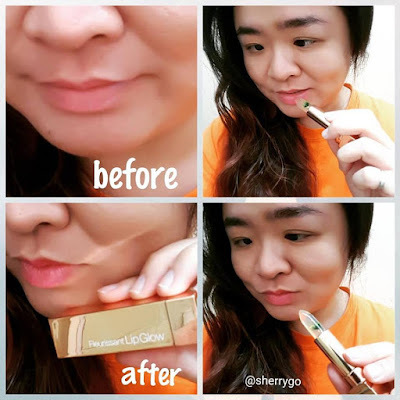 It forms oils and moisture barrier giving volume to lips and the adding the moist gloss. 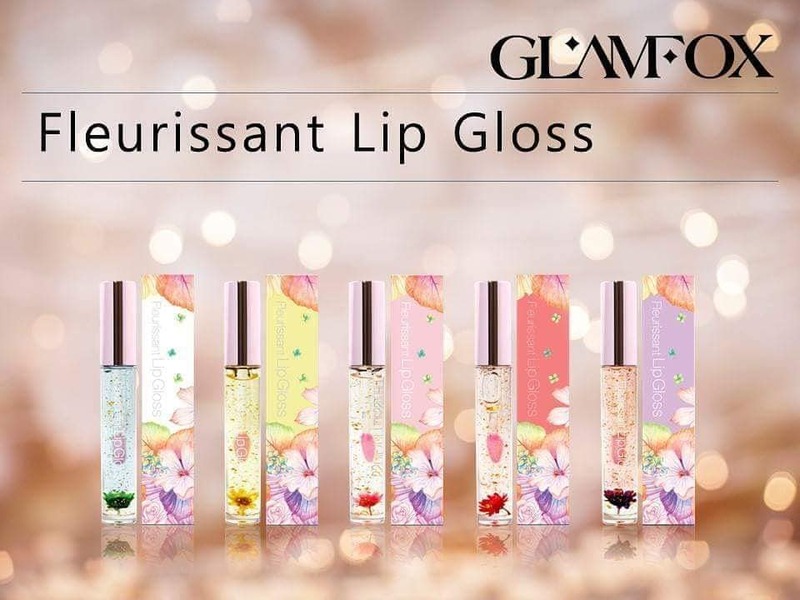 After apply the Fleurissant Lip Glow, the colors will be differ by the individual lip pH and Body Temperature! I have dry lips and lip care is important for me, being mom of two boys I need to take care myself too. 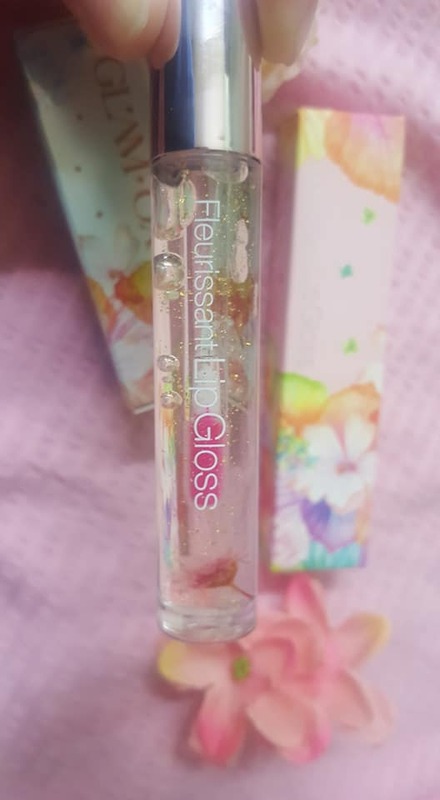 I love sharing with you that these beautiful Glamfox Fleurissant Lipgloss, it's beautiful as it turn my dry lips to pinkish color. I like it as it's moisture and didn't irritate my lips. 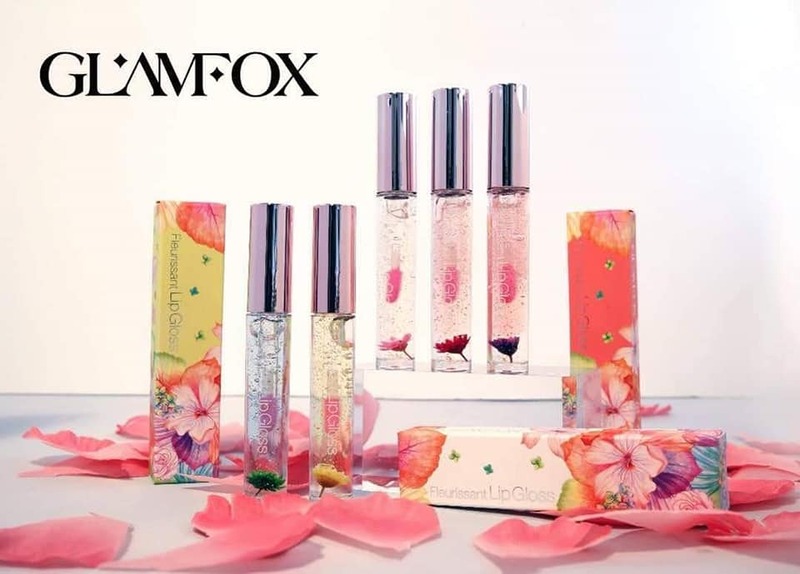 Sharing is caring, if you are looking to shop for Glamfox Fleurissant Lipgloss & Flower Lipstick, these products are available at Watsons Malaysia and Aeon Malaysia. The products are easy travel size that you can put in your handbag, bag wherever you go. If you like to know more about the products and the updates you can follow Glamfox Malaysia. *Results of application may different for each individual as not everyone the same. Christmas just few weeks away, what are you getting for your loved ones? How about yourself? I know some of my readers and visitors love the Korea Beauty products. 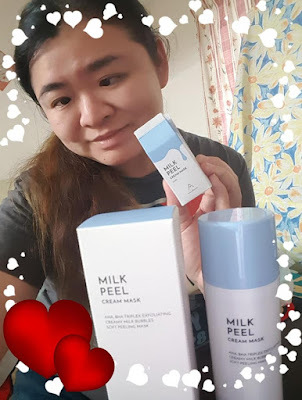 If you have been following my blog you know that I am a big fan of Kbeauty! Everyone has got busy lifestyle, so where to purchase skin detoxer when you needed one? With Internet access its possible for us to purchase online from anywhere anytime. Check out the Althea Real Fresh Skin Detoxers Set, the 10 seconds mask cleansers skincare product. Each tube is 150ml. Yeah there's skin care that only takes 10 seconds, no kidding! 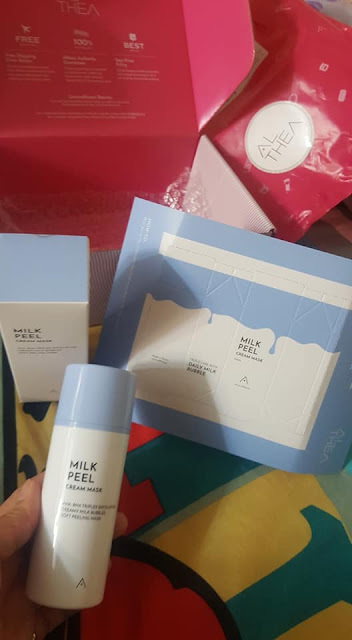 Skincare that only takes 10초/10 seconds! What great about this? 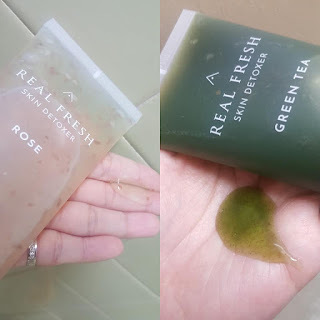 It is also containing real green tea leaves and rose petals , Althea's Real Fresh Skin Detoxers set is perfect for those who are always on the go. It's so fast that when EXID's @jeonghwa_0508 put it to the test, she actually found that it's even faster than brewing a cup of coffee! 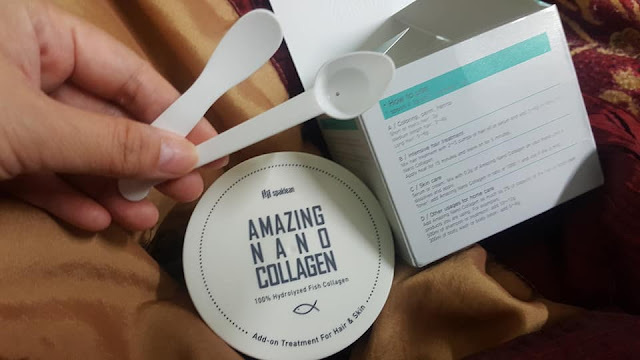 Good day to dear reader and visitors, today sharing with you the SPAKLEAN Amazing Nano Collagen! Yeah this is collagen powder, that you can mix it with your hair care and skin care product to use. I am sure you know that I love to care for my hair care and skin care. My hair is rough and not easy to manage as I have coarse hair, happy to share with you this product that works for me. Everyone has got a busy lifestyle, with Internet access today we can search and shop online. SPAKLEAN Amazing Nano Collagen is 100% hydrolysed collagen from scales of red sniper fish. High absorption; high content of low molecular peptide compared to ordinary nano collagen. The product is free from harmful ingredients. That's not all, the product is made in Korea. 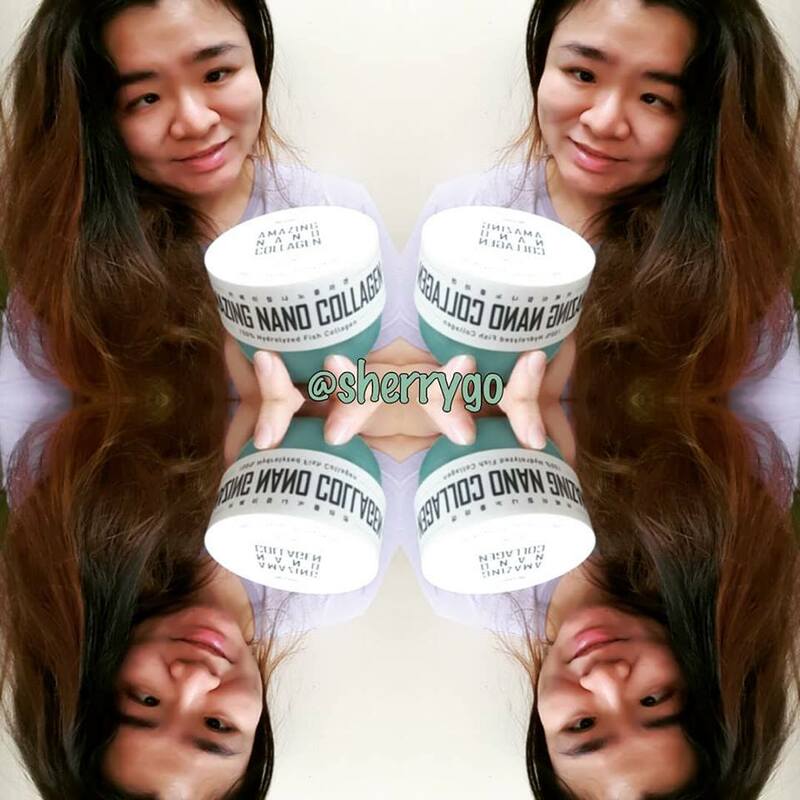 I seldom find product that can used from head to toe, now there's one that's SPAKLEAN Amazing Nano Collagen! You got to try it yourself to feel the difference. What goodness of this product? Skin: It keeps skin plumped, resilient, firm and reduces wrinkle. Hair: It prevents hair loss and increases elasticity and gloss on hair. Simple to use just add in the collagen powder to your product to give more collagen to your body. and 3 spoons of water. I also tried for body lotion adding 1 spatula of collagen powder, mixed it well and applied on body and legs. It comes with a spoon and spatula that you can easy scoop out for use. This is a collagen powder, you can mix it with any of your hair or skin product currently used. I have rough hair and often DIY hair dyed the hair myself, so I know it's important to take care of my hair. 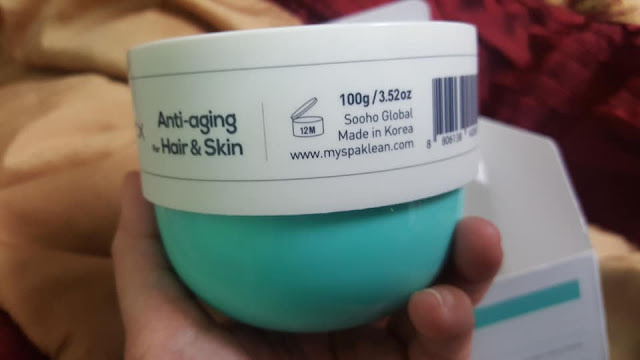 To see the effect of this product best to use it few times, but for me I can feel my hair difference in just two usage. I also tried the treatment for hair, just add on the treatment of hair and 3 pumps of essence of hair oil and 3 scoops of collagen powder. Yeah mixed it up well then applied on hair, let it on for 15 minutes before wash off. You can reduce the used of collagen powder as I have long hair, I used 3 scoops of collagen powder. If you have short hair or medium hair perhaps just 1 scoop is enough. Sharing is caring, if you thinking of gifts for loved ones, can consider this. Its so easy to use just add it on to your skincare or hair care products, if you are not sure of how much to put and usage, you can always check with them. Now there's free shipping in Malaysia, don't just read here click on the link for more info and details. 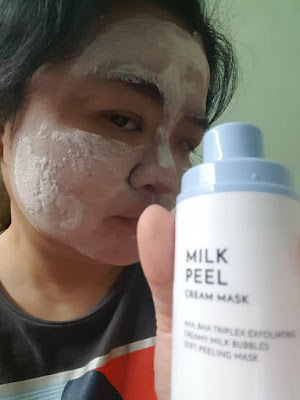 To know about how to DIY a collagen face mask, click on the website of company in Malaysia above. 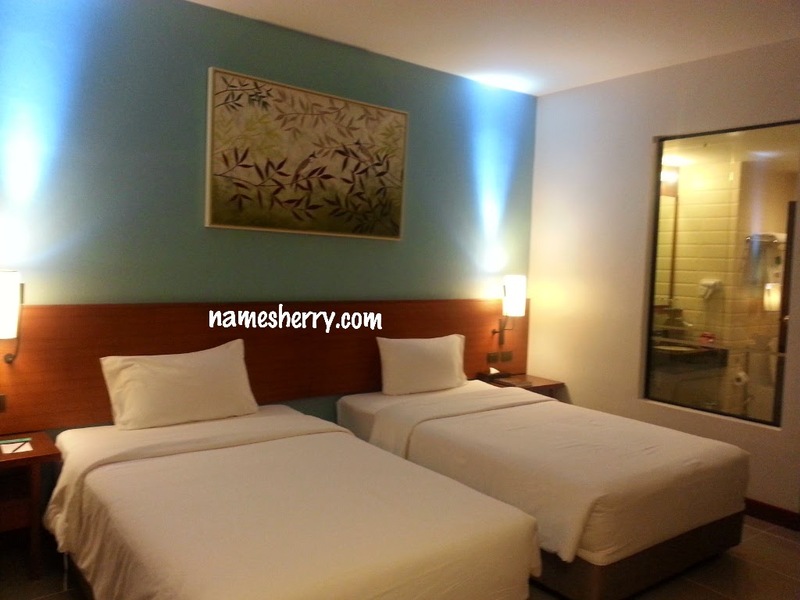 The website is user friendly and easy to browse. *Result may vary for individual as not everyone the same. Avon ‘s commitment to breast cancer grows bigger every year. As a business, we have been involved with breast cancer for 24 years as part of our commitment to improving the wellbeing of women . Avon is the strong corporate supporter for issues related to women including its core corporate social responsibility pledge, a breast cancer promise. This year, through the Pink Light Project, Avon continues to partnering with National Population and Family Development Board (LPPKN) to help every woman to know the risk, the signs and what action to take when it comes to breast cancer, no 1 killer for women. Avon, LPPKN and Majlis Kanser Nasional (MAKNA) are reaching out to more women at 11 locations including Sabah and Sarawak and more series with MAKNA until the end of the year. The pledge is to make sure no woman dies because she was in any doubt about breast cancer. She must know how to take control of her breast health, by being fully aware of the risks, symptoms and what actions she could take. Such a fun meaning event, lets check out the full video of the Avon Pink Light Project Mall Hunt. 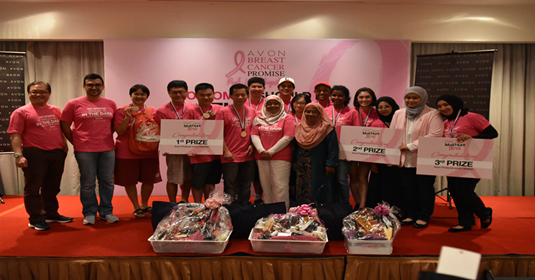 During the closing ceremony which was graced by the Chairman of LPPKN Dato Mariam Mas Yacob, Avon handed over the free mammogram check worth RM25,000 to MAKNA that will go to the local community beginning November this year. The ceremony saw Avon Malaysia’s General Manager Onur Erdinc handing the donation to Habiba Abdul Rahman, the President of Cancer Support Group MAKNA and witnessed by Chairman of LPPKN. 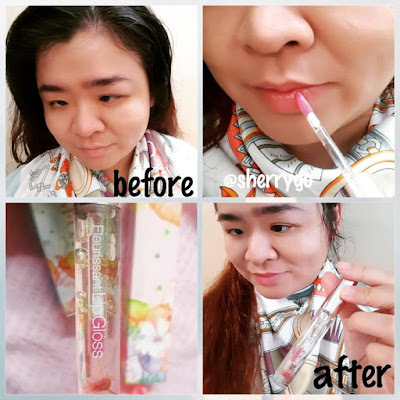 Avon through the breast cancer campaign launched in 1992, contributed RM1.3 million that benefited hospitals, breast cancer centers, non-government organizations and breast cancer related support activities. Earlier that morning, Avon organised The Pink Light Mall Hunt at Berjaya Times Square Mall that gained support from 200 participants as a symbolic to the closing ceremony. The closing event also attended by hospitals, breast cancer survivors, Mydin Holdings and LPPKN staff. Get to know more about Avon breast cancer campaign and MAKNA tour series at shop.avon.my and social media, @avonmy. Busy lifestyle didn't strop me from doing things I love. Nothing makes a mother more proud than to watch her kids grow up. Many mums like me are also concerned of kids grow, yeah we know that kids do explore more of the world and face risk of exposure to more germs. Hearing mums’ concerns, Dettol, the world’s No. 1 germ protection brand** has relaunched the whole personal wash range of products recently to protect all Malaysian families from 100 types of harmful germs. Dettol ‘ProFresh’ is formulated to provide ‘12 hours odour protection’ and to ensure all day freshness, even in Malaysia’s hot and humid weather. 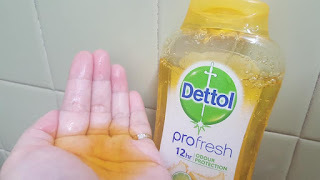 Dettol ‘ProSkin’ provides ‘8 hours moisturising’ to keep the whole family’s skin protected, which is often compromised when exposed to harmful environment, such as strong sun rays or continuous air conditioning. 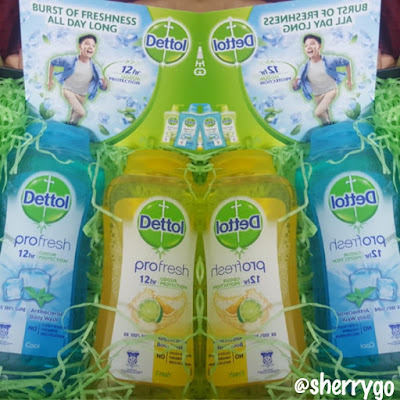 Launched over 80 years ago, Dettol has been the leader in germ protection and an active partner of all mothers who want to protect their families. Having committed to improve the health of families through better hygiene, the brand consistently innovates solutions to fight evolving germs in our environment, thus enhancing the quality and efficacy of its products to safeguard consumers’ wellbeing. No wonder it has earned the trust of mothers worldwide to help her family members maintain good hygiene, which is essential for good health. 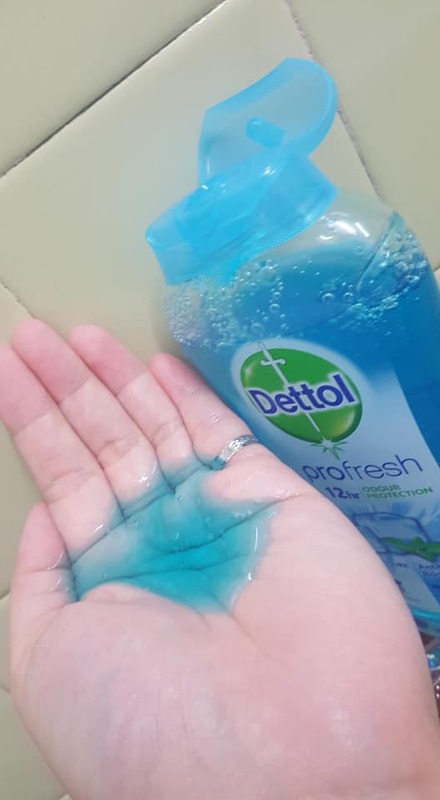 Particularly in Malaysia, Dettol has been the No. 1 germ protection brand over the years. 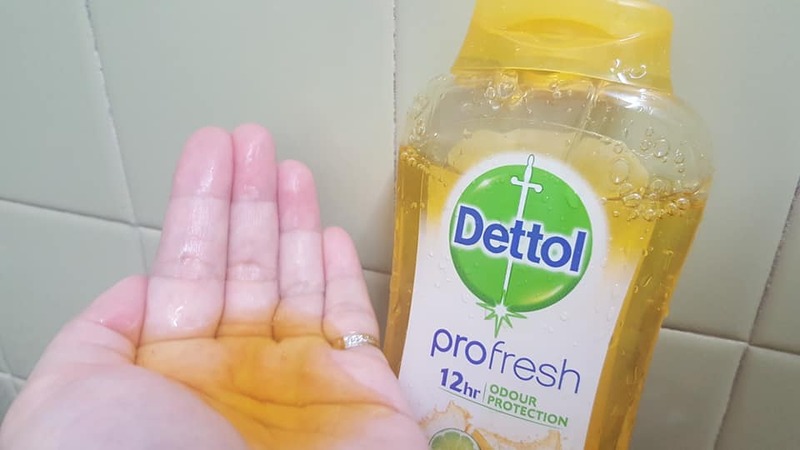 As the brand continues on its journey to find the right germ protection solution for Malaysian families, Dettol has identified different needs in personal wash, which largely narrows down to ‘odour protection’ and ‘skin protection’. “We take shower to keep our body clean. But beyond this basic need, there are more advanced and versatile needs, which depends a lot on the family’s lifestyle. Particularly for Malaysian families, their needs largely come down to 2 requirements: ‘odour protection’ that is mainly associated with odour causing germs in sweat, which prevails in hot tropical weather; and ‘skin protection’ that keeps skin healthy and well moisturised -- a constant challenge here due to higher exposure to sunlight and humidity, causing dust and germs to stick to the skin. The new Dettol personal wash is designed to provide ‘protection from 100 harmful germs’ to address to both needs. ‘ProFresh’ is developed to control odour causing germs and provide 12 hours of odour protection, and ‘ProSkin’ focuses on healthy skin, giving 8 hours moisturisation. 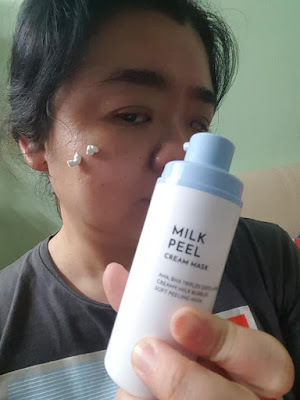 Both platforms are dermatologically tested and proven to be suitable for everyday use for families,” explained Kim Minyoung, Marketing Manager of Dettol Malaysia and Singapore. Dr. Steven Chow, Senior Consultant Dermatologist explained that, mothers today are cautious about maintaining body hygiene and healthy skin of the family. “Kids love playing outdoors, and while mothers are very happy to see them being active and having so much fun, they do worry at the invisible germs that may be clinging on to them. Not to mention the smell! There is nothing quite as overpowering as the odour when your sweaty children come home from physical activities at school. Effective germ protection body wash in the bathroom is the solution for the whole family! As kids’ skin is vulnerable, dermatologically tested solutions are important” said Dr. Steven. He highlighted that many people have the misconception that sweating causes body odour, especially. “Sweat itself actually does not smell. Rather, it is the germs in the sweat that react chemically to produce odour by breaking down the sweat molecules into acids. Hence, it is important to remove the source of germs on the surface of the skin with specialised products, rather than simply clean with any regular product. This not only ensures that you and your family smell fresh all day, but also helps to improve your overall health,” he pointed out. Keep the whole family hygienic and protected from germs, while they lead a healthy and active lifestyle! 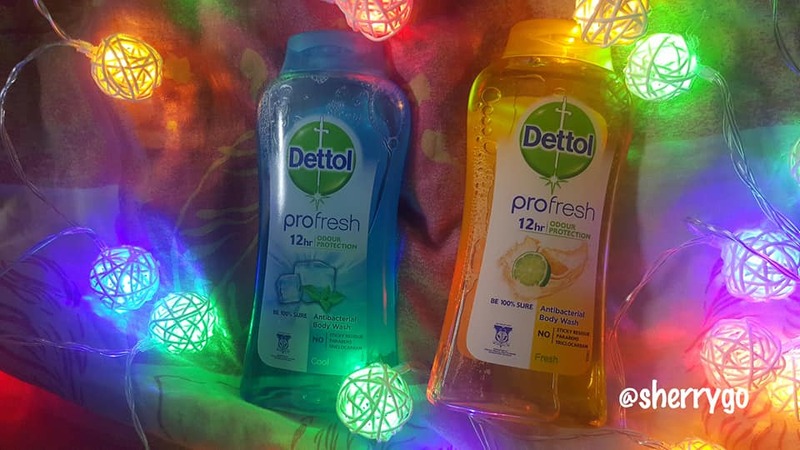 Now you know that there's this range to choose from, check the Dettol personal wash range comes in five uplifting variants, namely Cool, Lasting Fresh, Re-energize, Fresh, and Skincare. Retailing at major supermarkets and pharmacies nationwide, each variant is available in 250ml bottle at the price of RM6.90, 500ml bottles at RM12.46, 950ml bottles at RM20.25, and the 900ml refill pack at RM15.67.